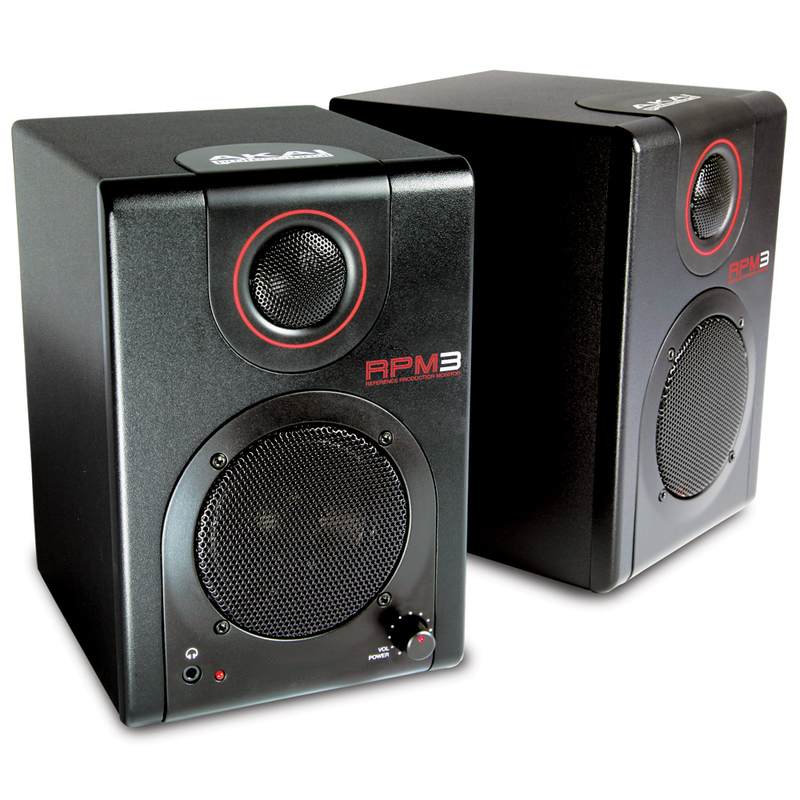 RPM3 monitors provide full-range frequency response to ensure audio reproduction that is pure, yet compact. The lightweight and portable design means the RPM3 system can be easily placed in a carrying case and taken on the road, allowing for reference monitoring anywhere. Combining compact monitoring with a USB audio interface, RPM3 monitors enable you to simultaneously play audio from and record audio to a computer through the included USB cable. No special drivers are required. RPM3 monitors can easily record professional-quality audio directly from a mixer, keyboard, microphone preamplifier, guitar effects processor or other audio component. 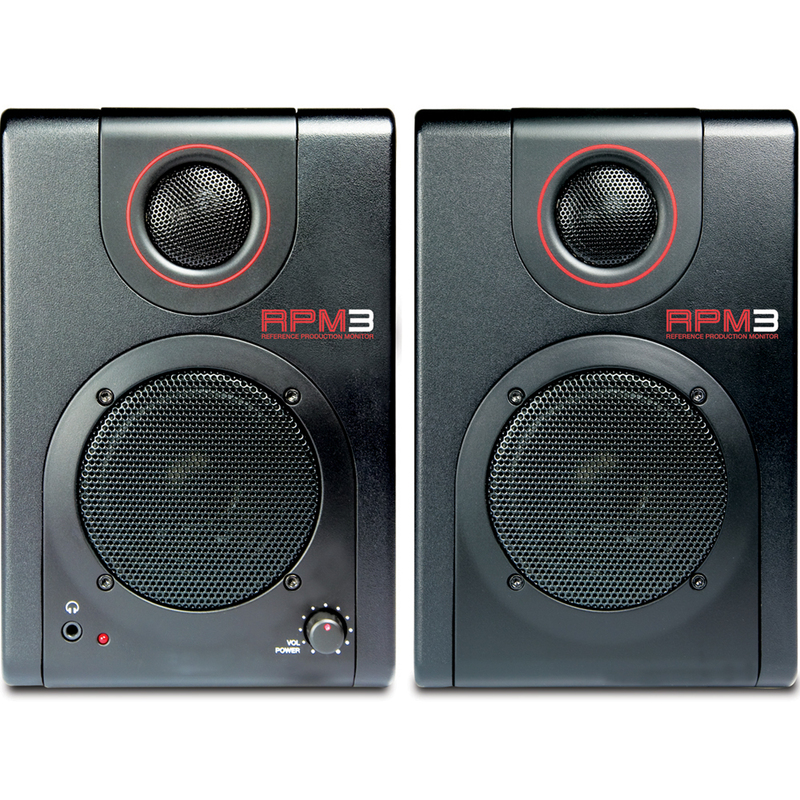 RPM3 monitors have also been magnetically shielded to prevent interference when placed close to computer monitors or magnetic media. 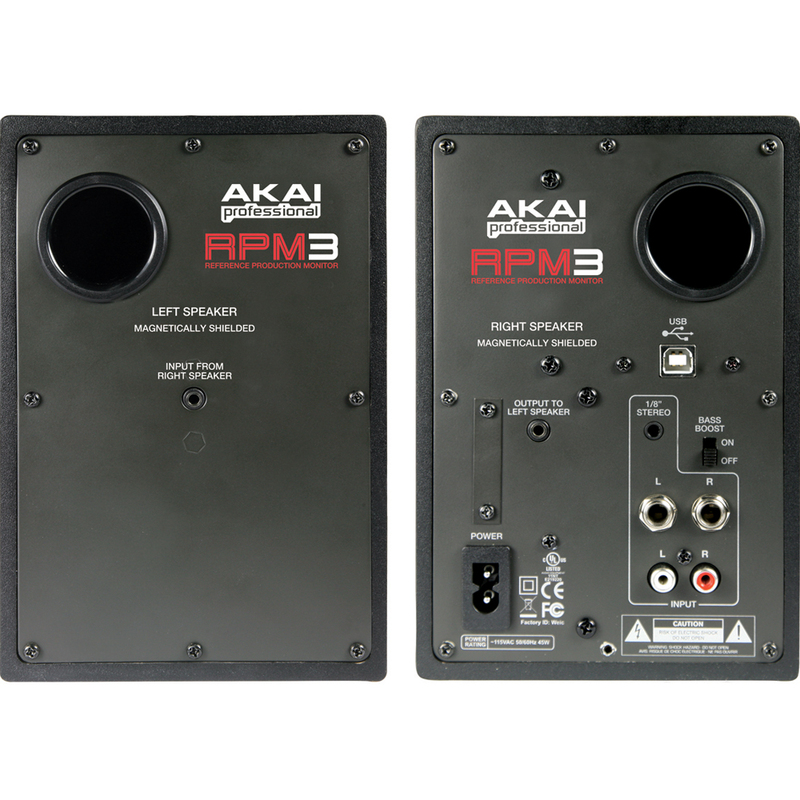 The RPM3 monitors provide a host of options to accommodate audio recording directly into a computer including a stereo 1/8'' jack, a pair of balanced 1/4'' TRS inputs and stereo RCA inputs. Volume control, power-switch and 1/8'' headphone jack are also located on the front panel for quick access and easy adjustment. Very nice quality product perfect as a shelve or desk top speaker would compliment any set up .Easily set up and playing one of my records in minutes What a good sound and the bass boost switch certainly makes a good impression .